These are two editorial reviews, and high as they may sound, it was definitely hard sailing for me to finish this book. First, 18th century American English is not one of my strong points, and neither do I have appreciation for American history, as yet. Second, it is coupled with the author’s observations about literature, philosophy, religion, civil life and what not. The author begins by describing his life in Boston, then he moves on to Philadelphia where he works for a printer, one Samuel Keimer. He then goes to England after befriending some prominent political figures, and works for yet another printer. After his return, he started his own printing-house, and a debating club called the Junto. He basically was a pioneer in many projects: fire brigade, police force, the University of Pennsylvania etc. By the way, he also found time to conduct scientific experiments on lightning and at some point was the postmaster general of the USA. A truly outstanding man, to say the least. 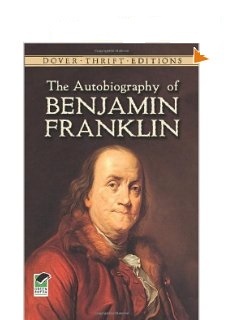 The Autobiography itself was written in three different times: 1771 in England, 1783-83 in France, and 1788 in America. If Franklin meant to complete it, he died before he got the chance.